Copper River Photos (Zymoetz) - Terrace, B.C. 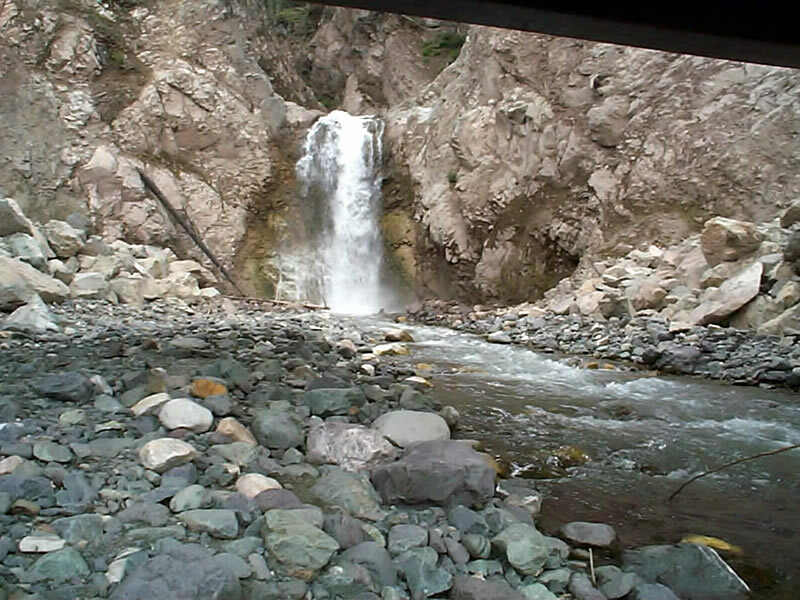 Again, this is the U-shaped falls created by 2002 rock slide. This photo was taken from under the new bridge on the new segment of the forest service road, with the bridge girder included to show distance. The previous bridge was destroyed by the avalanche, which also caused the river to flood the forest service road. The new road section has been constructed substantially higher above the water level than the stretch which was destroyed. Photo: July, 2004 © Elaine Fleischmann.